The summer season kicked off with Karl Fairburne taking his trusty sniper rifle and beginning his latest hunt for Nazi forces. 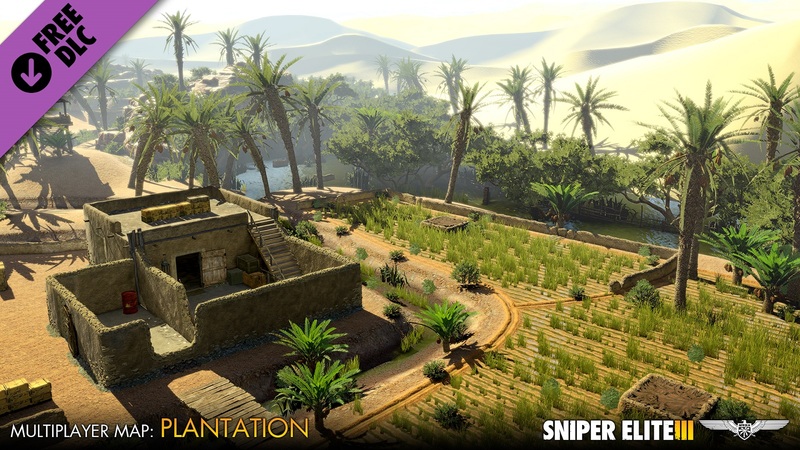 Sniper Elite 3 opened up the sniping frontier to more open-world settings, with Fairburne hitting camps in the Northern African landscape. The result was more of the Sniper Elite action that fans have grown to enjoy, as well as some more cringe-worthy X-ray blasts. But the folks at Rebellion aren't finished, as they're fully supporting the multiplayer aspect of Sniper Elite 3 with new maps and game modes, while also tasking single-player snipers with saving Winston Churchill from assassination. To learn more, Shacknews reached out to lead designer Mike How and asked about the future of Sniper Elite 3, while also sending in some questions from our platoon of Chatty community posters. 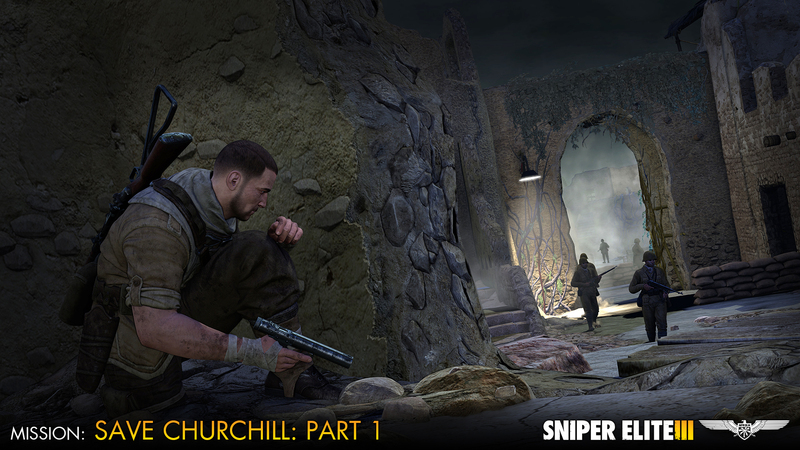 Shacknews: Sniper Elite 3 has gone from WWII on the African front to helping save Winston Churchill. You've released the first part of the story, but can you offer a hint as to what comes in the next two parts? Rebellion lead designer Mike How: The next two parts will have Karl discovering the when and where of the plot to assassinate Churchill. He now knows who's involved in the plot, so must discover when it will occur and where. Many players want to have that 'enemy at the gates' style battle and we are trying to feedback to that desire and lead players up to that moment with the three part campaign. We want to give the player a penultimate sniper battle with a fierce German sniper. Shacknews: What made you want to venture into alternate history, like going back and killing Hitler or rescuing Churchill from an attempted assassination? How: With the DLC campaign we wanted the player to feel like they had a hand in writing history. It's crazy not to listen to your team during development and there was a lot of support for doing a mission about the Casablanca convention. And of course, we want to do missions that promote interesting gameplay, too! Killing Hitler is always going to be a fan favourite that probably stems all the way back to our first battle with him in Castle Wolfenstien. There's an inherent satisfaction to putting bullets in bad dudes. I guess we are lucky he had a history of working with doubles which affords us a bit of carte blanche to kill him or his doubles in different settings. Shacknews: In looking at these missions and also at the Sniper Elite series as a whole, how do you feel that Karl Fairburne has grown as a character? In what ways has he evolved since his character was first conceived? How: Snipers have often been regarded with a certain amount of fear even amongst their own troops. Regular infantry may not even know who they kill but snipers have the power to end a life with the exhale of a breath and the squeeze of a trigger. Karl's character is kept purposely quite dry to feedback to this. He keeps to himself and doesn't tend to forge alliances hastily, relying on his own skills for survival. You have to imagine someone who’s been killing as long as Karl would have seen people come and go and learnt it's best to keep to yourself for the most part. Shacknews: Are there other WWII scenarios that Rebellion would be interested in visiting for the Sniper Elite series? How: I wouldn't rule it out. We like appealing to some of the fanciful technology of the timeline. There's still so much untapped potential for exploration in that era and how a methodical sniper like Karl might have played his part to help the allies achieve victory. There isn't a day that goes by where I don't stumble on something utterly insane that either the Germans or the allies were using in that theatre of war. Shacknews: Sniper Elite took a bit of a detour with two Sniper Elite Nazi Zombie Army games. Is this a series that you guys would like to re-visit with Sniper Elite 3's updated engine? How: Rebellion is always trying to develop and push its IP forward, so if the development work for Sniper 3 is a good fit for other IP, you can bet we'll be using aspects of that tech to help push another title forward to critical and commercial success. Shacknews: I know there was initial disappointment when it came to four-player co-op not being a part of the Sniper Elite 3 package. Has there been thought put into patching it in later on? How: 4 player co-op wasn't within the scope of the project and to be honest, I don't know that it blends as well with the franchise as titles like NZA. You have to pick your battles and we were happy to deliver on polished 2 player co-op at 1080p. I'd also worry that 4 players running around blocking sightlines or griefing each other might get too chaotic. Sniper Spotter relationships work well. We never rule anything out, fun gameplay trumps realism but it needs to feedback to the franchise; purposeful and tactical sniper play. After answering our staff's questions, How then shifted to questions from our Chatty community. Dusty_Slim asks: Did the D-day giveaway for Sniper Elite V2 help raise awareness about how great the Sniper Elite series is? How: We knew the 'free' offer would go down well, but I think it surpassed everyone's expectations. It was downloaded about two and a half million times, and at its peak had as more simultaneous players than some of Steam's most popular games. It's not like every single one of those players has bought Sniper Elite 3 right away - PC gamers are pretty savvy and like to shop around before making the plunge. What we do know is that we had record PC pre-orders and hundreds of thousands of people added SE3 to their Steam wish list. winterface asks: How intense were your anatomy studies, given how detailed some of the x-ray kills are? How: The artists are all well-equipped from their studies to do justice to the anatomy of a human being. Pushing further with the muscular layer no doubt meant some had to dust of old books for reference and re-examine the internal workings in detail. GrimmyD asks: What's coming down the line for content for regular users and Season Pass owners? Is there more coming for multiplayer or will you move on to the next game in the series? How: There is actually some awesome MP content on the horizon. There was a lot of good feedback on Overwatch gameplay so we have been exploring more prototypes for Sniper 3 DLC. The MP content includes bespoke no cross maps and massively expanded MP arenas that promote a lot of new tactics and gameplay choices. Many of these will also have no cross variants, so we are certainly taking onboard all the community feedback and acting on it. hirez asks: Was there ever a kill animation where you went "Whoa, that's actually too violent?" How: I don't think so, no. I still look at our kill cams with fascination rather than horror. The anatomical quality of what is going on draws it more towards a fascinating documentary feeling rather than cheap gore tricks. As a kid I was watching the Korn "Freak on a Leash" music video and it absolutely blew me away, watching this bullet carve a path through various items in slow motion. People have an inherent fascination for slow-motion bullets and the damage they inflict. It's not everyone's cup of tea no doubt, but I think there’s more than enough people who share that fascination to make it a unique draw card for the IP. For more on Sniper Elite 3, check out our review. Ozzie Mejia posted a new article, Chatty Q&A: Sniper Elite 3. I wonder if they'll fix that annoying soldier pop-in from #2. You know, you clear an area completely, then move off a bit only to get sniped from the same building/area you just cleared out. That was just lazy programming. SE 3 fixed a lot of issues that SE 2 had, and yet, I find myself more willing to replay SE 2. Maybe it's the setting, or the comfort of linearity, or the fact that the final bad guy isn't killed in a cutscene.